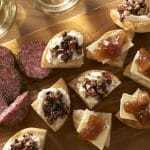 These easy savory cheese appetizers are the perfect finger food for your parties when you want to impress your guests but don’t want to spend all day in the kitchen. As a military family, we always live far from family. So, our friends often fill in as our family. That’s why we entertain a lot. We love being surrounded by the people we care about. It’s NOT because I love spending time in the kitchen whipping up gourmet food to serve them. If you’re a regular reader here, you know I’m always looking for the fastest, easiest way to do everything, including hosting parties. 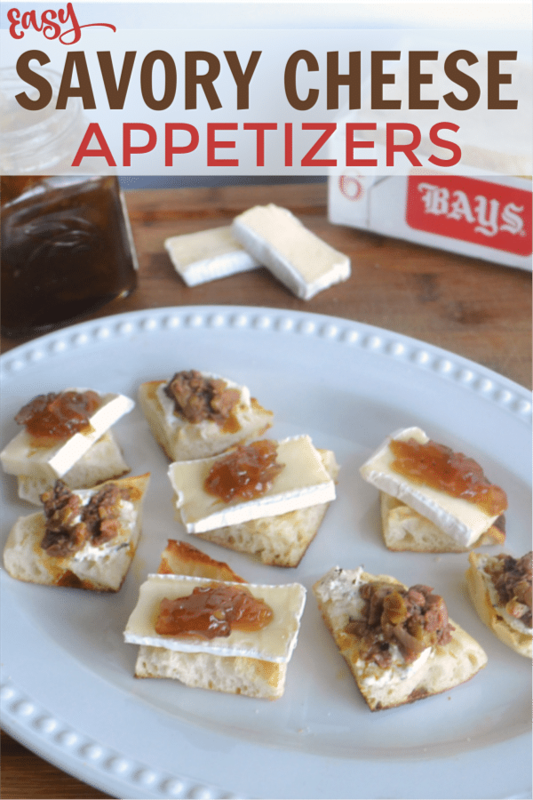 Today I’m going to share a recipe for some savory cheese appetizers that are ridiculously easy to prepare. The best part though is that they taste as good as they look. 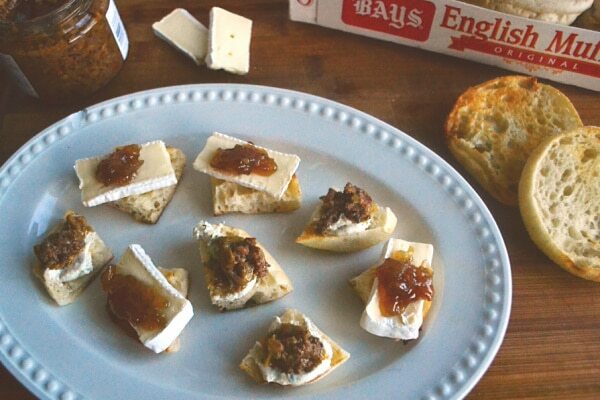 I got this recipe from Bays English Muffins. If you’ve only enjoyed English muffins at breakfast, you are missing out on a world of possibility! The same characteristics that make English muffins perfect at breakfast, make them great for many other things. Those tiny holes and crevices that catch all the butter and jelly? Equally good at catching any topping. The texture that’s the perfect balance between firm and soft is what makes them the ideal choice for these savory cheese appetizers. They’re not too crunchy like a cracker sometimes is and they don’t get as soggy or flimsy as French or Italian bread slices can be. Don’t just use any English muffins though. Freshness really matters because English muffins can dry out quickly. 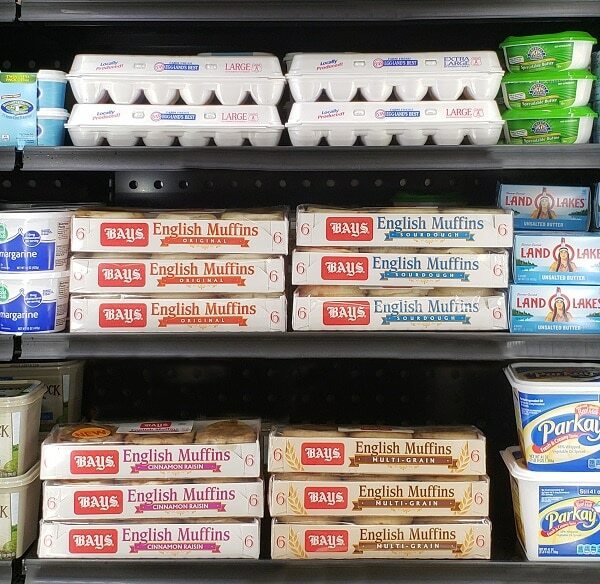 That’s why I like Bays English Muffins, which are so fresh, you’ll find them in the refrigerated section of your grocery store. To give the English muffins just a little crispness, pop them into your toaster or toaster oven and lightly toast them. Next, we’re going to cut the English muffins into quarters to make them bite-sized. On half of the English muffin quarters, place slices of Brie. On the other half, spread on garlic and herb goat cheese. Top each of the Brie slices with garlic and onion jam. 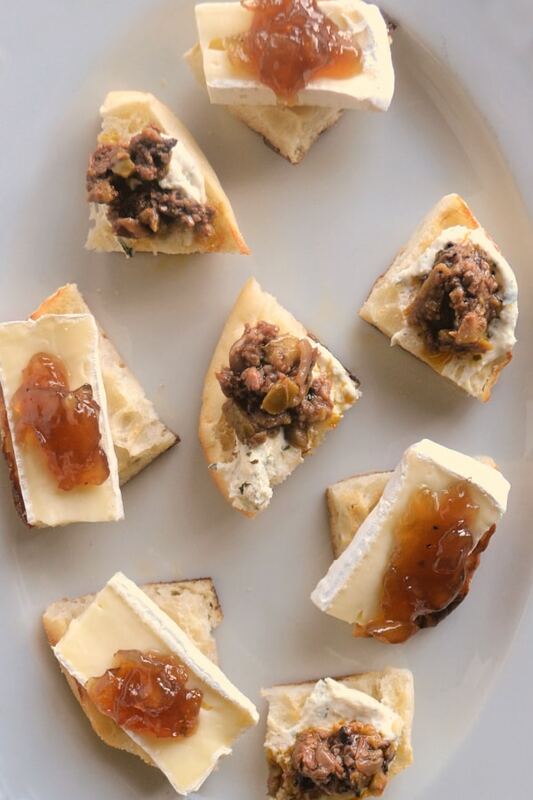 Spoon olive tapenade onto each goat cheese slice. Voila! 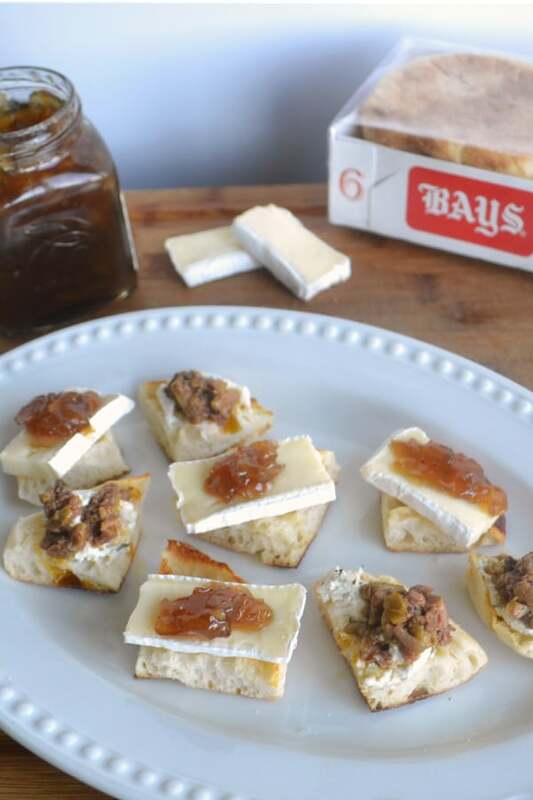 You’ve just made two different fancy schmancy savory cheese appetizers your guests are going to love!